This SMILE resource contains two packs of games, investigations, worksheets and practical activities supporting the teaching and learning of powers and roots, from identifying square numbers to investigating numbers expressed as powers. 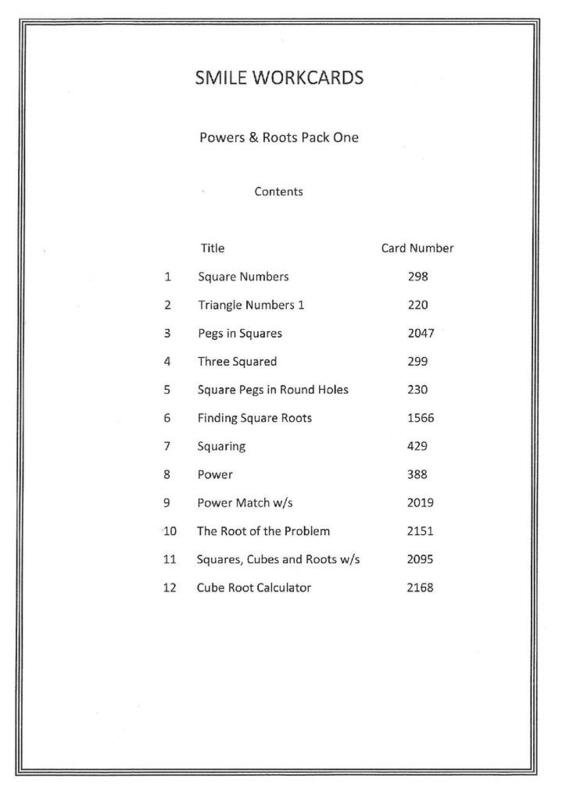 Powers and roots pack one contains twelve work cards with a wide variety of activities covering square numbers, triangle numbers, finding square roots, powers, and finding cube roots. 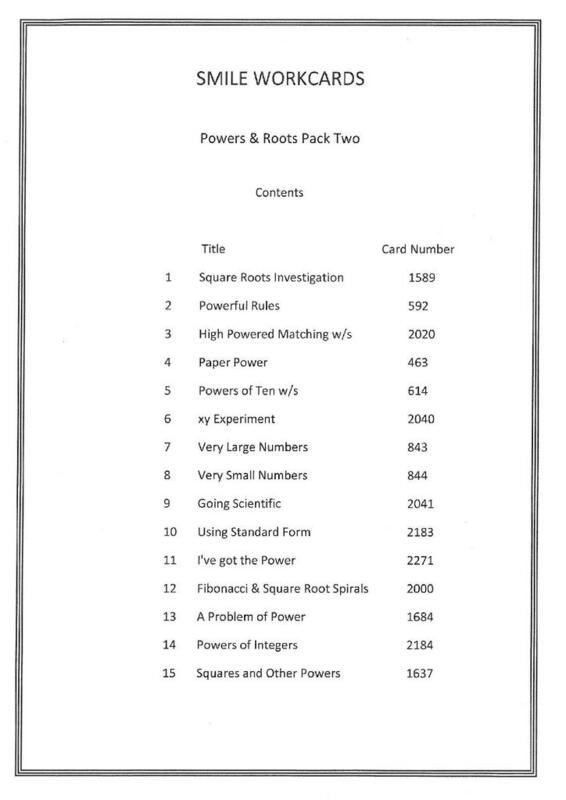 Powers and roots pack two contains fifteen work cards with activities requiring students to investigate square roots, multiply and divide numbers in index form, work with powers of ten, use standard form in context, use the power button on a calculator to deal with fractional powers, investigate Fibonacci spirals and square root spirals. SMILE (Secondary Mathematics Individualised Learning Experiment) was initially developed as a series of practical activities for secondary school students by practising teachers in the 1970s. It became a complete individualised scheme based around a network of activity cards and assessments. Related resources include answers to all of the cards and test books and answers.